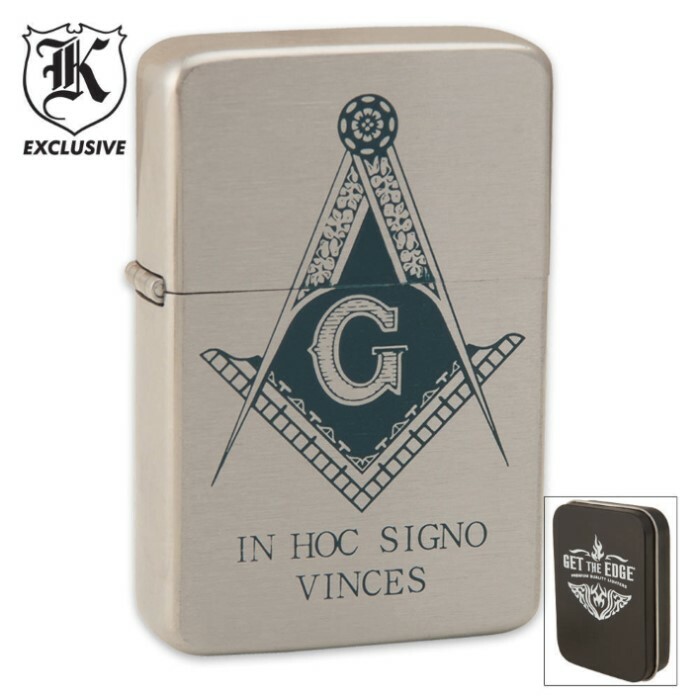 Our highly detailed Masonic wind-proof lighter offers excellent functionality without the high price. Features include an all steel body with aged finish and Freemason artwork. Not Zippo brand.